Herbert A. Medina joined the LMU faculty in 1992 after receiving his Ph.D. in Mathematics from UC Berkeley and his B.S. in Mathematics/Computer Science from UCLA. At LMU, Pof. Medina has enjoyed success teaching courses at all undergraduate levels. His research has focused on functional analysis, wavelets and more recently on polynomial approximations to classical functions (an area in which he has published collaboratively with LMU undergraduates). One of his passions is working to increase participation of historically underrepresented groups in STEM. For example, he is one of five founding co-directors of the Mathematical Sciences Research Institute Undergraduate Program (MSRI-UP) in Berkeley, CA, and from 1998-2002 he co-directed the Summer Institute in Mathematics for Undergraduates (SIMU)---a program that earned national acclaim for its design and success---in Puerto Rico. He also served as principal investigator for the LMU Descartes Sc holars Program, a $552K NSF undergraduate scholarship initiative. 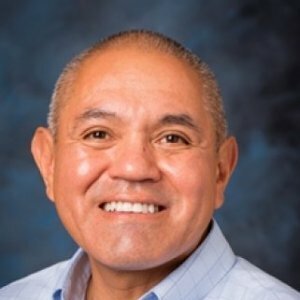 In recognition of his work supporting students, Prof. Medina received the 2014 Distinguished Undergraduate Institution Mentor Award from the Society for Advancement of Chicanos and Native Americans in Science (SACNAS). His leadership positions at LMU have included service as Interim Director of Study Abroad (2008), Acting Chair of the Mathematics Department (fall 2014), Chair of the Committee on Rank & Tenure (2013-2015), and Associate Dean for Faculty/Staff Development & Student Success in the Frank R. Seaver College of Science and Engineering.